“Here, taste this,” our guide Hüseyin said, plucking a handful of green stems from the ground and offering them to us. 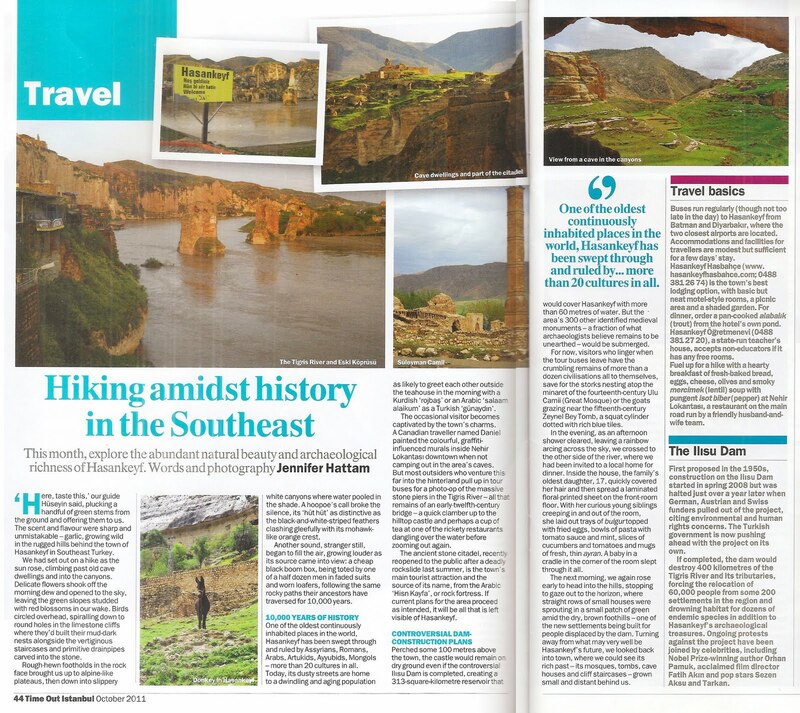 The scent and flavor were sharp and unmistakable – garlic, growing wild in the rugged hills behind the town of Hasankeyf in Southeast Turkey. Read the rest of my article about exploring Hasankeyf, which appeared in the October 2011 issue of Time Out Istanbul, as a jpg or pdf, or click "Read more" below for the full text. When the time came to cut the wedding cake, all eyes were drawn to the ceiling of the ballroom as the tiered white pastry descended from its hiding place. A dancer followed, dangling upside down to pour drinks into the guests’ outstretched flutes. 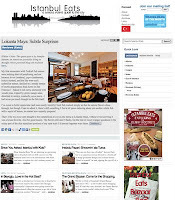 Read the rest of my review of Istanbul restaurant Lokanta Maya on the city's best website for foodies, Istanbul Eats. 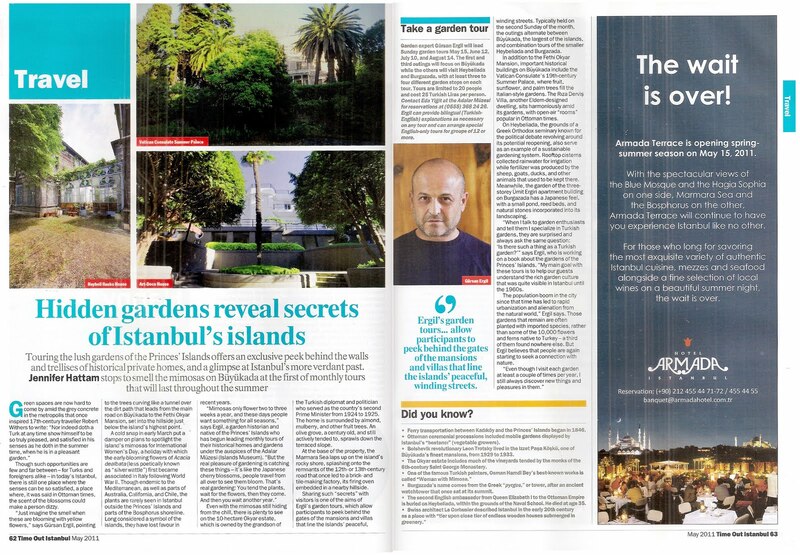 Read the rest of my article about garden tours on the Princes' Islands in the May 2011 issue of Time Out Istanbul: jpg | pdf. 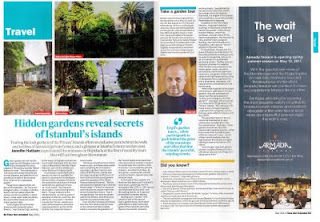 UPDATE:Time Out Istanbul has finally put this story up on their website: "Hidden Gardens Reveal Secrets of Istanbul's Islands"
The Middle East environmental news site Green Prophet recently interviewed me about my "experiences as an expat environmentalist," including what challenges I've encountered in trying to maintain a "green" lifestyle abroad, the most serious environmental problems facing Turkey, and if there's any good news here on the eco front. 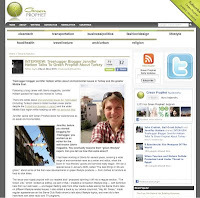 You can read it here: "INTERVIEW: Treehugger Blogger Jennifer Hattam Talks To Green Prophet About Turkey"
The Associated Press called up the Hürriyet Daily News in a panic earlier today, frantically trying to locate the "reports by the Associated Press that 20 Turks were killed in Kirkuk" that the paper had quoted Turkish Foreign Minister Selim Sarper as saying were unfounded. 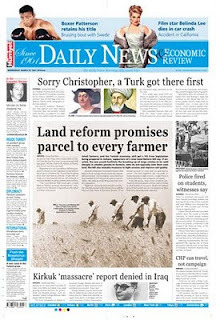 The person who answered the phone had to gently explain that Sarper had died in 1968 and that the "news" was actually from the date written on the front page: March, 15, 1961, the day the English-language Turkish newspaper was first published 50 years ago. UPDATE:Time Out Istanbul has finally put this story up on their website: "Close Encounters With the Wrestling-Camel-Kind." 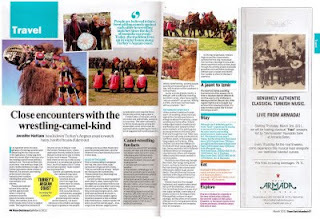 A new travel website, Simonseeks, had its official launch last month, featuring community-written and expert guides to almost 50 locations, mostly in Europe, but also around the world, from Hong Kong to Cape Town to New York. 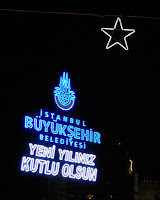 I spent a couple of months last fall researching and writing the expert guide to Istanbul, selecting 40 top hotels, 40 restaurants worth visiting, and 20 can't-miss sights, as well as making extensive recommendations on shopping, nightlife, and getting around, and offering my own "insider tips" and personal favorites in the city I've now called home for three years -- keeping a few special places to myself, of course. In the summer of 2003, I flew into Charleston, West Virginia, rented a car and drove deep into the state's mountain "hollows," deep green valleys where the land -- and the people who lived on it -- were badly scarred by mountaintop removal mining. 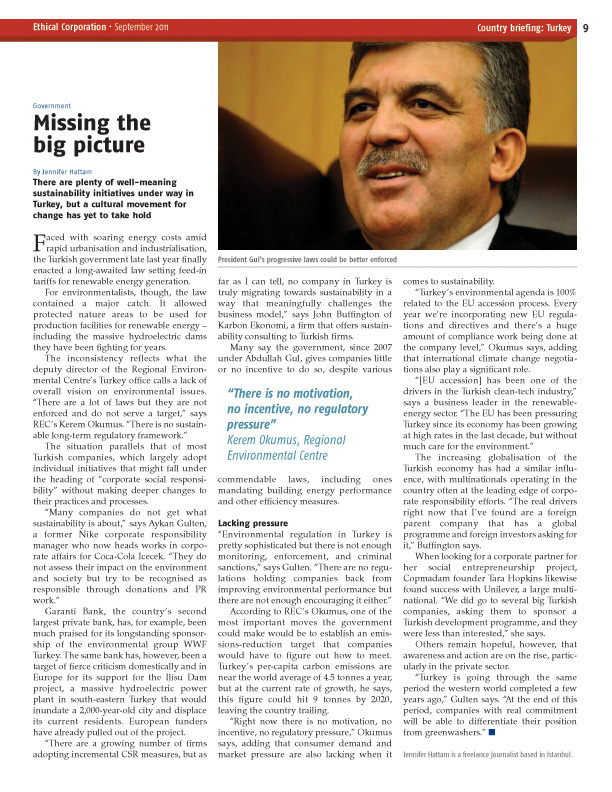 I met people who had been barred from visiting their family cemeteries -- now on mining company land; people with cracks in their walls and coal dust blanketing their homes due to nearby mining operations; and disabled former miners who said they would rather risk their lives underground each day than let their families and homes be subjected to the dangers of mountaintop removal.